So as you can see you will be welcomed with a 208 MB update. 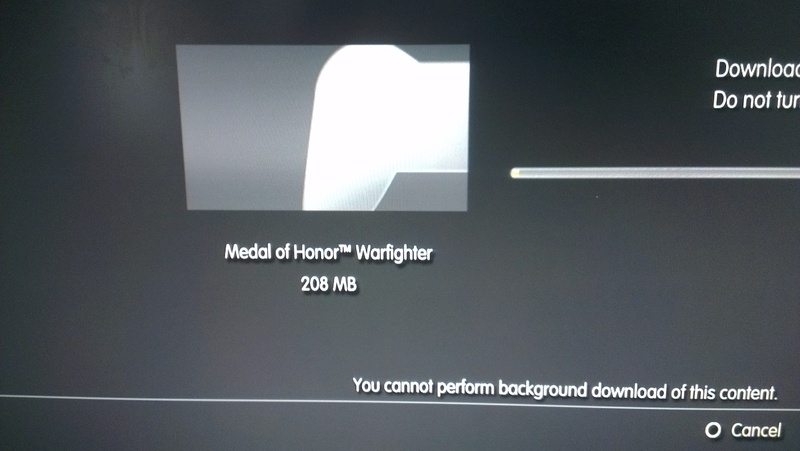 Then after this nice update we have the mandatory game install of data. Now I won’t lie I hate this. I hate unwrapping a game and introduced with all this “stuff”. Well to be honest I am glad that Danger Close listened to the feedback from the Beta and made some adjustments before we played the game. Now after all that is said and done we finally get to play the game. We are introduced to some screens that asks us what kind of team do we want to start off with. Do you want to be the SARS team. Do you want to be Navy Seals? Well you get to choose there and begin your journey into the Tier 1 world. I do admit the menus can be a bit overwhelming. Especially if you have not started an Orgin account. Now I have one from playing BF3 so linking that up was quick and easy. Then having BF3 I was able to download the free Class to play with without unlocking it the hard way. So how did the game fair with me? Well to be honest I loved the experience. I fell right in line with the shooting mechanics. 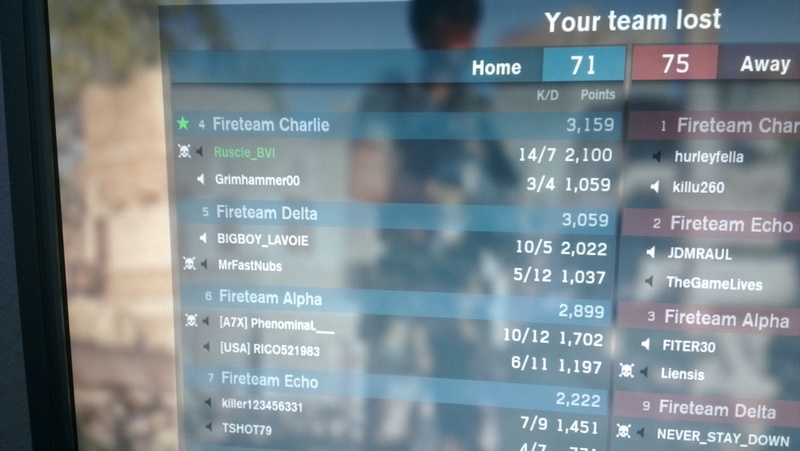 Playing BF3 I fitted right in. Once again I have a complaint with the menus. This game have alot going on but once you understand what everything is for and what is going on it becomes second nature. For example I didn’t understand how to customize my gun. Then by pressing square at the waiting to respawn menu it all came to me. This is just like BF3 but with a different aesthetic to it. 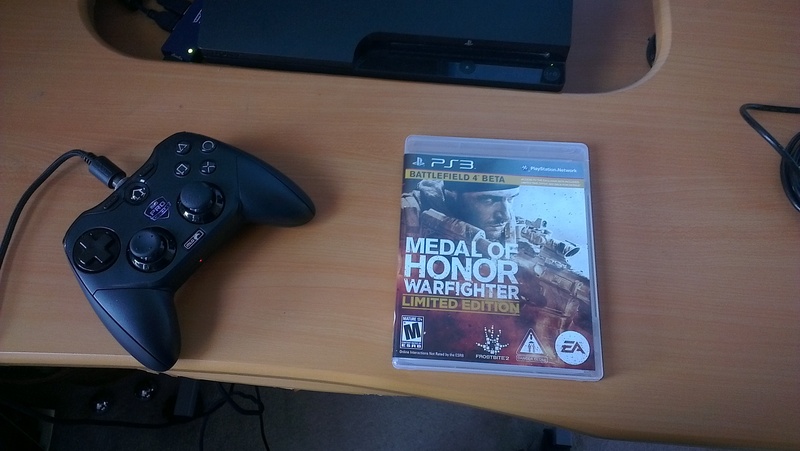 Then I went into options and changed my controller style to battlefield and I was right at home. Now I am getting the hang of this! Having your teammate is pretty cool. Adds a layer of coolness to it. Even when the game is done they would show you and your teammate that won with the highest points. Also the highlight of the last person that killed your teammate is a great touch. It doesn’t get in the way for me at all. It does help exact revenge for my squad member. Careful with that though. Sometimes his teammate is waiting for you also. So far the game is shaping up to be very good. I haven’t had enough time to play the other modes and the single player mode. I will do my best to get the review out to ya as soon as possible. Well enough of me writing and time for fragging.